Traditionally, vichyssoise soup (pronounced vee-shee-swahz) is a comforting, classic french soup made with pureed leeks, onions, potatoes, and a generous amount of cream. 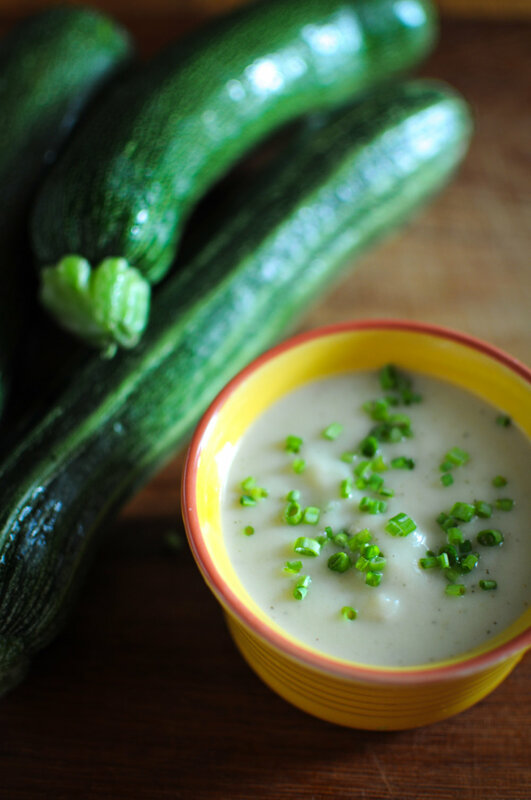 I have absolutely nothing against cream (you should see how much I put in my coffee..), but I love this version of vichyssoise from Flagstone Pantry, which omits the cream and instead features succulent, softly simmered zucchini. Enjoy this soup hot or chilled, it tastes fabulous either way! Heat the butter in your stockpot, then add the leeks, and saute over medium-low heat until very soft - 8-10 minutes. Add the potatoes, zucchini, chicken or vegetable stock, salt, and pepper; bring to a boil; then lower the heat and simmer for 30 minutes. 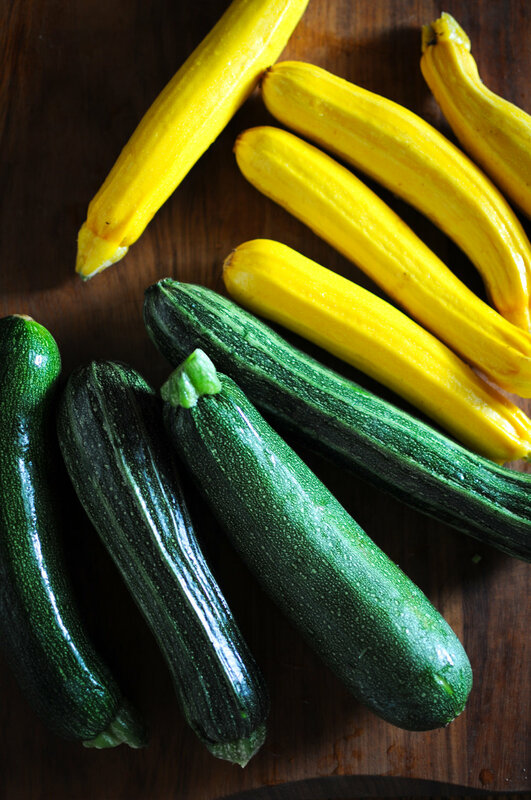 Once the vegetables are nice and soft, blend until very smooth with an immersion blender or in batches with a standing blender. Add the lemon juice and milk and season to taste - you will likely need to add more salt. If the soup is thicker than you'd like, simply add a bit more water or milk. Serve either cold or hot, garnished with the chopped chives.